What Are the Dangers of Ingesting Clove Oil? Clove is a highly aromatic herb, widely used as a spice in cooking, as an ingredient in fragrances and as an herbal remedy for varied ailments. Many processed foods and products use trace amounts of clove oil, derived from the plant. Individuals with an allergy to cloves usually react to the oil itself, making it important to read ingredient lists carefully. Before using any herbal remedies, including cloves, consult with your primary medical provider. The eugenol oil present in cloves can cause irritation to the skin or the inside of the mouth, if taken orally. Symptoms of an allergic reaction may include pain, redness or irritation, swelling or even a fever. Consult your primary care physician if you notice severe symptoms, or if they do not clear up within a week. An allergy to eugenol oil is particularly likely among those with allergies to balsam of Peru, a natural flavoring and fragrance derived from the bark of the tree species Myroxolon balsamum. Besides pure clove oil or the raw spice, clove finds its way into a wide range of products. Mixed herbal remedies designed to treat upset stomachs, diarrhea, tooth or gum pain or halitosis may contain clove or clove oil. Beverages and processed foods may contain trace amounts of clove oil for flavoring. Toothpaste, soap, perfume and even cigarettes may also contain clove. In most cases, the ingredient serves to flavor or add fragrance. In the case of cigarettes, the eugenol is meant to soften the tobacco taste. 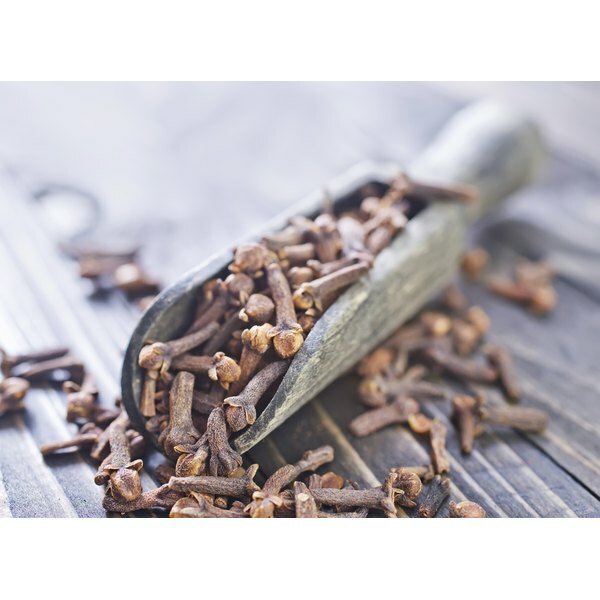 Even if you aren't allergic to cloves, you may still experience negative and potentially dangerous health effects from excessive quantities of cloves or products containing eugenol oil. Excessive eugenol intake can affect breathing, urination and digestion. Symptoms may include coughing up blood, diarrhea, abdominal pain, vomiting, nausea, liver failure, dizziness, seizures or coma. Immediately seek emergency assistance if you have ingested a large amount of a product containing cloves. Medical responses may include endoscopy, assisted breathing, gastric lavage and medication. Keep products containing cloves away from children to avoid accidental ingestion. Besides those with allergies to balsam of Peru, several groups are well-advised to avoid using clove products. Young children tend to react more negatively. If you have kidney or liver problems, you may be more susceptible to negative effects. You should also avoid taking medicinal quantities of clove oil if you are pregnant or nursing. Because eugenol can slow blood clotting, avoid clove products if you have a bleeding disorder or are about to undergo surgery.